DISCLAIMER: All of this information is already available in the forums and in the game files. I found some of the data in the game files and the rest throughout the forums. I will give credit when applicable, and if anyone has new information, I would appreciate it very much. Please remember that any of this could change (if) when these champions/items/etc. are released. These skills may not be in the proper order. I do not know which ones are the ultimates. Corki's bio hints that Heimerdinger is also a Yordle, the same race as Teemo, Veigar, and Corki. CH - 1 Concussion Grenade - Heimerdinger lobs a grenade at a location, dealing ## (+AP) Magic Damage to enemy units / buildings. This blinds enemy Champions in the area for ## seconds and stuns anyone who was directly hit for 1.5 seconds. Hextech Micro-Rockets - Heimerdinger launches ## Micro - Rockets which seek out random enemy champions within 2000 range dealing 90 (+AP) Magical Damage each. UPGRADE!!! - PASSIVE: Increases Heimerdinger's cooldown reductions by %%. Increases Heimerdinger and his Evolution Turret's attack speeds by %%. ACTIVE: Activate the heal the turret, adding four minutes to it's duration, and upgrading it to either lvl 2 Ur'Anium Rounds w/+200 Health & 10 Armor, or to lvl 3 Explosive Cartridges w/+400 Health & 20 Armor. (Passive) Technomaturgical Repair Bots - Heimerdinger gives nearby allied Turrets and Champions 10/15/20/25 Health Regen per 5. He has 5 abilities listed. I do not know which will be cut. Avatar of Death (Costs 4 Souls) - Nasus assumes his true form, the God of Death, for 20 seconds. While in this form he gains ## Health and %% Attack Speed, and causes freshly deceased units to detonate, dealing ##(+AP@) Magic Damage to surrounding enemies. March of the Damned (Costs X Souls) - Nasus releases all of his souls to send forth a torrent of (## + # of souls released) Damned Spirits at his target, dealing 55 (+AP) Magic Damage each. Siphoning Strike (Gain 1 Soul) - Nasus strikes his his foe, dealing ## plus his Attack Damage as Magic Damage. This increases future Siphoning Strike damage by ## if he slays his target. Spirit Fire (Costs 1 Soul) - Creates a delayed spirit flame at Nasus's cursor position. After 0.5 seconds, creates a flame which deals ## (+AP@) Magic Damage over 3 seconds. Wither Costs 2 Souls - Nasus ages his target, slowing their movement and attack speed by %% and reducing it further by 10% each second for 6 seconds. Iron Form - Poppy transforms into the living essence of Iron for 10 seconds. While in this form, Poppy shrugs off ## Damage per hit, up to a maximum of ## Damage absorbed. If after 10 seconds Poppy can still absorb additional damage, the cooldown on Iron Form is reduced to 10 seconds. 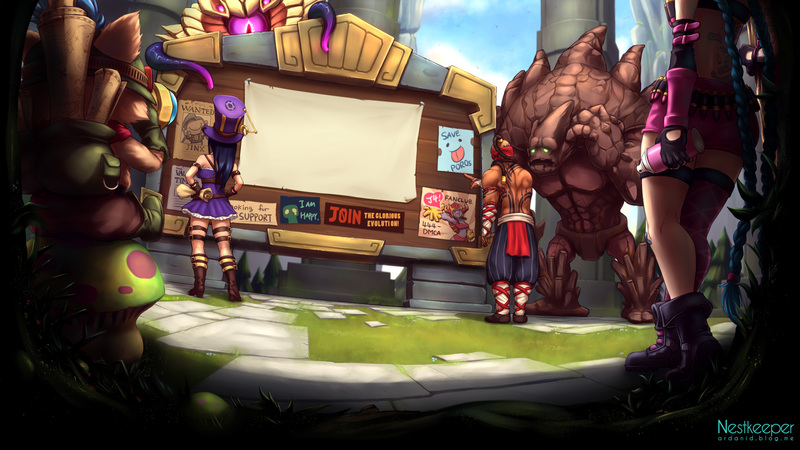 Obtrusion - Poppy commands her summoner to bring her to a target ally. Once there, Poppy receives %% of the damage dealt to her ally for 5 seconds, but protects them from harm. Rampage - Poppy forgoes her discipline and goes into a rampage dealing ## (+AP) Magic Damage per second to nearby enemy units. This spell drains ## Mana per second. Smash - Poppy leaps forward and slams her weapon into the ground. The resulting shockwave deals ## (+AP) Magic Damage and slows enemy units in the area by %%. Hallucinate - Shaco creates an illusion of himself nearby, which deals 100% damage and receives %%. On death, the illusion deals ## (+AP) Magic Damage to nearby enemies. Lasts up to 30 seconds. Jack In The Box - Shaco creates an animated Jack In The Box at target location, which can attack, dealing ## (+AP) Physical Damage. It will Fear nearby enemies for ## seconds when it first attacks, and if no enemies are nearby, the Box will stealth for up to 90 seconds. Has ## Health and will fire for up to 5 seconds once activated. 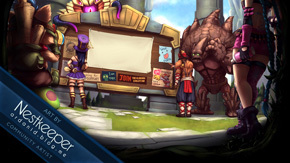 Deceive - Shaco instantly stealths, lasting ## seconds, and teleports to target nearby location. Two-Shiv Poison - Passive: While Two-Shiv Poison is ready to cast, Shaco poisons his targets on hit, reducing their chance to hit and Movement Speed by %% for 2 seconds. Active: Shaco can cast Two-Shiv Poison to deal half Weapon Damage + ## (+AP) Damage to target enemy, and apply the Poison debuff. I will work on getting some pictures up as well. If anyone has found more information or has some good pictures of the champions, please post. Some of the items seemed to have incomplete tooltips i.e. saying "passive" instead of "unique passive." I left these as-is. Also, I know that Guinsoo has leaked more complete information on some of these items. Click to Consume: Restores 400 health and 200 mana over 10 seconds. Bag of Tea can only be consumed after scoring the killing blow on a Champion. +24 Armor +10 Health Regen per 5 sec UNIQUE Passive: On being hit, restores 20 Health over 5 seconds, does not stack. +300 Health +25 Ability Power UNIQUE Passive: 20% chance on Physical Attack for your next damaging spell to gain +100 Ability Power. UNIQUE Aura: +25 Armor / +30 Magic Resistance to nearby allies. +50 Ability Power +60 Armor UNIQUE Passive: 25% Chance on being hit to reduce spell cooldowns by 1 second and restore 20 mana (always procs from Champions). +25% Attack Speed +25 Health Regeneration per 5 UNIQUE Passive: Chance on hit, to apply a minor damage over time ability that deals 10 damage per second for 10 seconds, during which the target cannot regenerate their health. Unique Active: Teleports your champion to a target location once every 2 minutes. Any damage taken during the cast time will interrupt the cast. +15% Lifesteal Passive: Restores 50 Health after killing a unit. +15% Lifesteal +40% Attack Speed Unique Passive: 30% chance on hit to proc a debuff that increases the damage received from enemy champion attacks by 8 Magic Damage for 8 seconds. This effect stacks to a maximum of 6. Click to Consume: Restores 150 Health and 75 Mana over 15 seconds. +10% Lifesteal +40% Attack Speed Passive: 5% Mana Leech. +550 Health +50 Armor UNIQUE Passive: Shields your champion, absorbing the next 250 Damage, +80% of your Ability Power (25 sec cooldown). +30 Ability Power +300 Health UNIQUE Passive Aura: Gives yourself and nearby friendly champions +20 Ability Power and +200 Health. +70 Ability Power +30 Magic Resist Passive: On spell cast, you hit each nearby enemy for Magic Damage equal to 8% of their current Health (4 sec cooldown). +25% Critical Chance +25% Critical Damage +600 Mana Passive: Your Magic Damage can Crit (using your Critical Chance) for 25% extra True Damage. +35 Attack Damage +20% Critical Chance Passive: 25% chance on attack to reveal the target to your team, prevent them from dodging, and reduce armor by 20 for 4 seconds. +45% Attack Speed +12% Critical Chance Passive: Every third attack becomes guaranteed to hit and deals 75 bonus Magic Damage. +20 Attack Damage, +20 Armor Penetration, and 10% cooldown reduction. Ignite - Ignite deals 50 damage plus 25 damage per level, over 5 seconds, to a target enemy. Clarity - Restores 100 + 15 x level Mana to your Champion and and 50% of that to nearby allies. Stifle - silences a target enemy champion for 3 seconds, and removes their beneficial buffs. Burning Embers - While your Ignite spell is on cooldown, your champion gains 10 Ability Power. Insight - Clarity will now grant the same amount of mana to allies as your champion receives. Suppression - Reduces the cooldown of Stifle by 10 seconds, and increases the duration by 0.5 seconds. tr "game_lua_BlindMonk_critical" = "Critical Up!" tr "game_lua_Highlander" = "Can't Be Slowed!" 48th Slave was trashed i believe. So no voodoo shaman guy. Ok, I'm updating this thread with the latest files. I'm also going to add items and summoner skills. Expect "tea-bagging" and a "blink dagger." Just a bump and reminder that I got the items up now. Shaco I would love to see, I want to see how images are handled here in LoL. Thanx for posting this,I can't wait to see these in game! !